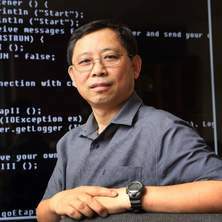 Professor Xue Li's research interests are in: Database Systems and Applications and Social Computing. Given a large collection of temporal events, how do we find the event patterns that lead to a certain type of events? How do we benchmark our findings? This research is to develop the efficient algorithms to discover the causal relationship between the given event types and the long temporal yet multidimensional event patterns. Social opinions are now reflected by social media in all aspects: trends of pop music, fashions, politics, financial markets, nature disaster responses, sales of products and services. For example, in government elections, people’s feelings may affect the swings of votes of political parties; in real estate business, people’s attitudes may cause changes to local house pricing; in stock market, people’s moods may influence the values of stock shares. Therefore, we need to understand or predict the trend of changes of the organizational performances based on the social opinions. In social networks, people are associated as friends, followers, or fans. In our research we discover social opinions based on the social network structures. Our research deals with the following challenges: 1. How to identify target objects and their properties from social media? For example, people may comment a restaurant: "the food is good, but the service is bad". In this case, we need to understand an object with a hierarchical structure. 2. How to identify social opinions from social media? Sometimes people may express their opinions without using any sentimental words. 3. How to predict the quantifiable performance for a give object (product, service, election, or organization)? Once we have the historical performance data, we should use data fusion techniques to predict the performance that can be affected by social opinions. 4. How to compare and contrast the social opinions expressed on different organizations? 5. How to detect spamming opinions? We are constructing an Opinion Search Engine (OSE), similar to the Google Search Engine, instead of searching for Web pages, we search for people’s opinions on any given objects. With the high-speed and large volume of data generation, the data mining research community is facing an unprecedented challenge to provide data mining outcomes for instant decision support. Getting access to derived information from multiple, dynamically changing data is vital for many business, science and security services. This project aims to investigate selected aspects of the new generation of data mining problems; consider maintenance-based methods for rules and patterns discovery, provide a comparative study on different solutions. We concentrate on two major issues in this project; a Stream Data Transformation (SDT) approach for evaluation and if required, transformation of raw data into a required format, making the streams data-mining-ready; and the Data Mining Methods (DMM), designing and developing methods for fast data streams. Liu, Zheng, Li, Xue and Dong, Zhaoyang Improvements on data security algorithms for streaming multimedia – enhancing video encryption and watermarking robustness and performance. Saabrucken, Germany: LAP Lambert Academic Publishing, 2012. Nahar, Vinita, Li, Xue and Pang, Chaoyi (2014). Cyberbullying validation. In Phoebe Triggs (Ed. ), Handbook on bullying: prevalence, psychological impacts and intervention strategies (pp. 233-257) New York, NY, United States: Nova Science Publishers. Li, Xue (2009). Database clustering methods. In Encyclopedia of Database Systems (pp. 699-700) United States: Springer. Li, Xue (2009). K-Means and K-Medoids. In Ling Liu and M. Tamer Özsu (Ed. ), Encyclopedia of Database Systems (pp. 1588-1589) United States: Springer. Li, X. (2003). Intelligent Business Portals. In N. Shi and V. Murthy (Ed. ), Architectural Issues of Web-Enabled Electronic Business 1 ed. (pp. 40-51) London: Idea Group Publishing. Zhong, Jiang, Geng, Shenghua, Weng, Luosheng and Li, Xue (2012) A cross-layers service discovery protocol for MANET. Journal of Computational Information Systems, 8 12: 5085-5092. 王宏威 Wang, Hong-wei, 李国和 Li, Guo-he, 李雪 Li, Xue, 吴卫江 Wu, Wei-jiang and 李洪奇 Li, Hong-qi (2011) 连续型特征的特征选取方法. Zhongnan Daxue Xuebao (Ziran Kexue Ban), 42 Supp. 1: 651-655. Zhong, Jiang, Sun, Qigan, Li, Xue and Wen, Luosheng (2011) A novel feature selection method based on probability latent semantic analysis for chinese text classification. Chinese Journal of Electronics, 20 2: 228-232. Zhong, Jiang, Dong, Gaofeng, Zhou, Ying, Li, Xue, Liu, Longhai and Chen, Qiang (2011) A semi-supervised text clustering algorithm based on pairwise constraints. Journal of Information and Computational Science, 8 6: 951-960. Zhao, J., Wen, F., Xue, Y., Li, X. and Dong, Z. (2010) Cyber physical power systems: Architecture, implementation techniques and challenges. Dianli Xitong Zidonghua/Automation of Electric Power Systems, 34 16: 1-7. Zhao J.H., Dong Z.Y. and Li X. (2007) An improved Naive Bayesian classifier with advanced discretisation method. International Journal of Intelligent Systems Technologies and Applications, 3 3-4: 241-256. Li, Xue, Barajas, Jorge M. and Ding, Yi (2007) Collaborative filtering on streaming data with interest-drifting. Intelligent Data Analysis, 11 1: 75-87. Li, Xue, Zhang, Shichao and Wang, Shuliang (2006) IJDWM Special Issue: Advances in Data Mining Applications. International Journal of Data Warehousing and Mining, 2 3: i-iii. Hu, Qing and Li, Xue (2006) Special issue for 2004 Annual Conference of IS/IT Issues in Asia-Pacific. Journal of Global Information Management, 14 1: I-III. Yan, Xin, Li, Xue and Song, Dawei (2004) A Correlation Analysis on LSA and HAL Semantic Space Models. Lecture Notes in Computer Science (including subseries Lecture Notes in Artificial Intelligence and Lecture Notes in Bioinformatics), 3314 711-717. Liu, Zheng, Li, Xue and Dong, Zhaoyang (2004) A lightweight encryption algorithm for mobile online multimedia devices. Lecture Notes in Computer Science (including subseries Lecture Notes in Artificial Intelligence and Lecture Notes in Bioinformatics), 3306 653-658. Pokharel, Suresh, Li, Xue, Zhao, Zin, Adhikari, Anoj and Li, Yu (2018). Similarity computing on electronic health records. In: 22nd Pacific Asia Conference on Information Systems. Pacific Asia Conference on Information Systems, Yokohama, Japan, (1882-1893). 26 - 30 June 2018. Tang, Xin, Huang, Wei, Li, Xue, Li, Shengli and Liu, Yuewen (2016). Outlier detection via minimum spanning tree. In: Proceeding of the 20th Pacific Asia Conference on Information Systems (PACIS 2016). Pacific Asia Conference on Information Systems, PACIS, Chiayi, Taiwan, (). 27 June - 1 July 2016. Nahar, Vinita, Li, Xue, Pang, Chaoyi and Zhang, Yang (2013). Cyberbullying Detection based on text-stream classification. In: Proceedings of the 11th Australasian Data Mining Conference. 11th Australasian Data Mining Conference - AusDM'13, Canberra, Australia, (49-58). 13-15 November 2013. Chen, L., Li, X. and Han, J. (2013). MedRank: Discovering influential medical treatments from literature by information network analysis. In: Twenty-Fourth Australasian Database Conference. 24th Australasian Database Conference, ADC 2013, Adelaide, Australia, (3-12). 29 January 2013 - 1 February 2013. Li, Xue and Chen, Ling (2011). Recommendations based on network analysis. In: ICACSIS 2011 - 2011 International Conference on Advanced Computer Science and Information Systems, Proceedings. 2011 International Conference on Advanced Computer Science and Information Systems, ICACSIS 2011, Jakarta, Indonesia, (9-16). 17-18 December 2011. He, Jiazhen, Zhang, Yang, Li, Xue and Wang, Yong (2010). Naive Bayes classifier for positive unlabeled learning with uncertainty. In: Proceedings of the Tenth SIAM International Conference on Data Mining. The Tenth SIAM International Conference on Data Mining (SDM10), Columbus, Ohio, United States, (361-372). 29 April - 1 May 2010. Dingyi Chen, Xue Li, Jing Liu and Xia Chen (2009). Ranking-Constrained Keyword Sequence Extraction from Web Documents. In: Athman Bouguettaya and Xuemin Lin, Australian Computer Science Communications. 20th Australasian Database Conference (ADC 2009), Wellington, New Zealand, (161-169). Jan 2009. Mahinderjit-Singh, Manmeet and Li, Xue (2009). Trust framework for RFID tracking in supply chain management. In: Quan Z. Sheng, Aikaterini Mitrokotsa, Sherali Zeadally and Zakaria Maamar, ICEIS 2009. 3rd International Workshop on RFID Technology - Concepts, Applications, Challenges, Milan, Italy, (17-26). 6-7 May 2009. Natwichai, J., Sun, X. and Li, X. (2008). Data reduction approach for sensitive associative classification rule hiding. In: Fekete, A. and Lin, X., Proceedings of the nineteenth conference on Australasian database. Database Technologies 2008, Wollongong, Australia, (23-30). 22-25 Jan 2008. Nguyen, Son N., Orlowska, Maria E. and Li, Xue (2008). Graph mining based on a data partitioning approach. In: Alan Fekete and Xuemin Lin, Proceedings of the 19th Conference on Australasian Database (ADC 2008). Australasian Database Conference (ADC2008), Wollongong, Australia, (31-37). 22-25 January 2008. Ye, Mao, Gao, Zengan and Li, Xue (2007). Blind separation of positive signals by using genetic algorithm. In: Liu, D., Fei, S., Hou, Z., Zhang, H. and Sun, C., Advances in Neural Networks - ISNN 2007. 4th International Symposium on Neural Networks, ISNN 2007, Nanjing, China, (741-750). 3-7 June, 2007. Ali, M, Dong, Z Y, Li, X and Zhang, P. (2006). A grid computing based approach for probablisitic load flow analysis. In: C.M. Mak and K.P. Wong, Proceedings of the 7th International Conference on Advances in Power System Control, Operation and Management. 7th International Conference on Advances in Power System Control, Operation and Management, Hong Kong, (1-7). 30 October - 2 November, 2006. Xu, Z., Ali, M., Dong, Z. Y. and Li, X. (2006). A novel grid computing approach for probabilistic small signal analysis. In: Proceedings of the 2006 IEEE Power Engineering Society General Meeting. 2006 IEEE Power Engineering Society General Meeting, Montreal, Canada, (1709449.1-1709449.8). 18-22 June, 2006. Natwichai, J., Li, X and Orlowska, M E (2006). A reconstruction-based algorithm for classification rules hiding. In: G. Dobbie and J. Bailey, Proceedings of 17th Australasian Database Conference (ADC2006). 17th Australasian Database Conference (ADC2006), Tasmania, Australia, (49-58). 16-19 January, 2006. Yan, X, Li, X and Song, (2006). Document generality: its computation for ranking. In: G. Dobbie and J. Bailey, Proceedings of the Seventeenth Australiasian Database Conference (ADC2006). Seventeenth Australiasian Database Conference (ADC2006), Hobart, Australia, (109-118). 16-19 January, 2006. Sun, X., Orlowska, M E and Li, X (2006). Finding frequent itemsets in high-speed data streams. In: S. Parthasarathy, 2006 SIAM Conference on Data Mining Workshop and Tutorial Proceedings. 2006 6th SIAM International Conference on Data Mining, Maryland, USA, (1-6). 20-22 April, 2006. Ali, M., Dong, Z. Y., Li, X. and Zhang, P. (2006). RSA-Grid: A grid computing based framework for power system reliability and security analysis. In: Proceedings of the 2006 IEEE Power Engineering Society General Meeting. 2006 IEEE Power Engineering Society General Meeting, Montreal, Canada, (1709374.1-1709374.7). 18-22 June 2006. Ding, Y. H., Li, X and Orlowska, M E (2006). Recency-based collaborative filtering. In: G. Dobbie and J. Bailey, Proceedings of 17th Australasian Database Conference (ADC2006). 17th Australasian Database Conference (ADC2006), Tasmania, Australia, (99-107). 16-19 January 2006. Zhao, J., Dong, Z. Y., Li, X. and Wong, K.P (2005). A general method for electricity market price spike analysis. In: R. Jauregui and IEEE PES, Proceedings of IEEE Power Engineering Society General Meeting 2005. IEEE Power Engineering Society General Meeting, San Francisco, USA, (563-570). 12-16 July 2005. Ali, M., Dong, Z. Y., Li, X. and Zhang, P. (2005). Applications of grid computing in power systems. In: M. Negnevitsky, Proceedings of the Australasian Universities Power Engineering Conference. Australasian Universities Power Engineering Conference 2005, Hobart, Australia, (396-401). 25-28 September 2005. Chen, D., Li, X., Dong, Z. Y. and Chen, X. (2005). Determining the fitness of a document model by using conflict instances. In: H.E. Williams and G. Dobbie, Proceeding of the 16th Australasian Database Conference (ADC 2005). 16th Australasian Database Conference (ADC 2005), Newcastle, Australia, (125-133). 31 January - 3 February 2005. Natwichai, Juggapong, Li, Xue and Orlowska, Maria E. (2005). Hiding Classification Rules for Data Sharing with Privacy Preservation. In: Tjoa, A. Min and Trujillo, Juan, Data Warehousing and Knowledge Discovery, 7th International Conference, DaWak 2005. 7th International Conference on Data Warehousing and Knowledge Discovery, Copenhagen, Denmark, (468-477). 22-26 August, 2005. Liu, Zeng, Li, Xue and Dong, Zhaoyang (2004). A lightweight encryption algorithm for mobile online multimedia devices. In: Xiaofang Zhou, Stanley Su, Mike P. Papazoglou, Maria E. Orlowska and Keith G. Jeffery, Web Information Systems - WISE 2004: Proceedings of the 5th International Conference on Web Information Systems Engineering. The Fifth International Conference on Web Information Systems Engineering (WISE 2004), Brisbane, Australia, (653-658). 22-24 November 2004. Chen, X., Orlowska, M. E. and Li, X. (2004). A new framework of privacy preserving data sharing. In: S. Matwin, L. Chang, C. Adams and J. Zhan, Proceedings of the Fourth IEEE International Conference on Data Mining (ICDM '04). The Fourth IEEE International Conference on Data Mining (ICDM '04), Brighton, U.K., (47-56). 1-4 November 2004. Liu, Z., Li, X. and Dong, Z. Y. (2004). Enhancing security of frequency domain video encryption. In: Proceedings of the Twelfth ACM International Conference on Multimedia. The Twelfth ACM International Conference on Multimedia, New York, (304-307). 10-16 October, 2004. Liu, Z., Li, X. and Dong, Z. Y. (2004). Multimedia authentication with sensor-based watermarking. In: J. Dittmann, Proceedings of the Multimedia and Security Workshop 2004. The Multimedia and Security Workshop 2004, Magdeburg, Germany, (155-159). 20-21 September, 2004. Sorbello, M., Dong, Z. Y. and Li, X. (2004). On the development of a web electricity market simulator. In: G. Walker, Proceedings of the Australasian Universities Power Engineering Conference 2004. The Australasian Universities Power Engineering Conference 2004, Brisbane, (1-7). 26-29 September, 2004. Chen, D. and Li, X. (2004). PLD: A distillation algorithm for misclassified documents. In: Q. Li, G. Wang and L. Feng, Advances in Web-Age Information Management: Proceedings of the Fifth International Conference on Web-Age Information Management (WAIM 2005). The Fifth International Conference on Web-Age Information Management (WAIM 2005), Dalien, China, (499-508). 15-17 July 2004. Li, X., Huang, W., Jiang, F. and Xu, D.M. (2003). How can managers adopt and use electronic communication media more effectively? An exploratory study. In: W. Lesso, Proceedings of the Seventh World Multi-Conference on Systemics, Cybernetics and Informatics. The Seventh World Multi-Conference on Systemics, Cybernetics and Informatics, Orlando, Florida, (1-7). 27-20 July, 2003. Zakos, J., Verma, B., Li, X. and Kulkarni, S. (2003). Intelligent encoding of concepts in web development retrieval. In: L. Jiao, H. Selvaraj, B. Verma and X. Yao, Proceedings of the Fifth International Conference on Computational Intelligence and Multimedia Applications. Fifth International Conference on Computational Intelligence and Multimedia Applications (ICCIMA 2003), Xian, China, (72-77). 27-30 September 2003. Sun, X., Orlowska, M. E. and Li, X. (2003). Introducing uncertainty into pattern discovery in temporal event sequences. In: X. Wu, A. Tuzhilin and J. Shavlik, Proceedings of the Third IEEE International Conference on Data Mining 2003. Third IEEE International Conference on Data Mining 2003 (ICDM 2003), Melbourne, Australia, (299-306). 19-22 November 2003. Li, X., He, W., Dong, Z. Y., Verma, B., Yu, K., Koh, T. C. and Ng, C. W. (2003). Real time web vehicle classifier. In: T. Wysocki and B. Wysocki, Proceedings of the Seventh International Symposium on Digitial Processing and Communication Systems. The Seventh International Symposium on Digitial Processing and Communication Systems, The Gold Coast, (428-434). 8-11 December, 2003. Dong, Z. Y., Li, X., Xu, Z. and Teo, K. L. (2003). Weather depenent electricity market forecasting with neural networks, wavelet and data mining techniques. In: R. Duke, Proceedings of the Australasian Universities Power Engineering Conference. The Australasian Universities Power Engineering Conference, Christchurch, New Zealand, (1-6). 28 September-1 October, 2003. Li, X. and Chen, P. (2002). Automatic assessment of e-busineses. In: R. Gan, Y. Chen and W. Huang, Proceedings of the International Conference on e-Business. International Conference on e-Business, Beijing, (294-299). 23-26 May, 2003. Li, X. and Foo, I. P. (2002). Intelligent business portal: Availability vs. applicability. In: R. Gan, Y. Chen and W. Huang, Proceedings of the International Conference on e-Business. International Conference on e-Business, Beijing, (463-468). 23-26 May, 2003. Li, X., Huang, W., Gandha, G., Yao, X.G. and Huang, H.S. (2002). What web features and functions are used by Australian corporations in their websites? A conceptual framework and an empirical investigation. In: M. Khosrowpour, Issues and Trends of Information Technology Management in Contemporary Organizations. 2002 Information Resources Management Association International Conference, Seattle, (270-277). 19-22 May, 2002. Li, X. (2001). Building intelligent business portals. In: M. Xu, Y. Wang and W. Zhao, Proceedings of Asia Pacific Web Conference 2001. Asia Pacific Web Conference 2001, Changsha, China, (103-107). 21-22 November, 2001. Li, X. and Huang, W. (2001). On the assessment of commercial website: An expert system approach. In: G. Finnie, D. Cecez-Kecmanovic and B. Lo, Proceedings of the Twelfth Australasian Conference on Information Systems. Twelfth Australasian Conference on Information Systems, Coffs Harbour, NSW, (369-3777). 4-7 December, 2001. Advanced data mining and applications: 5th international conference, ADMA 2009: Beijing, China, August 2009: proceedings (2009) . Edited by Ronghuai Huang, Qiang Yang, Jian Pei, João Gama, Xiaofeng Meng and Xue Li. 5th international conference, ADMA 2009, August 2009, Beijing, China. Fuzzy Systems and Knowledge Discovery (2006) . Edited by L. Wang, J. Licheng, G. Shi, X. Li and J. Liu. Fuzzy Systems and Knowledge Discovery Third International Conference, FSKD 2006, September 24-28, 2006, Xi’an, China. Proceedings of the First International Conference, ADMA 2005 - Advanced Data Mining and Application (2005) . Edited by Li, X., Wang, S and Dong, Z. Y.. First International Conference, ADMA 2005 - Advanced Data Mining and Application, 22-24 July 2005, Wuhan, China. Knowledge discovery in a long temporal event sequence.